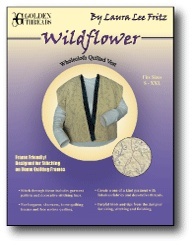 Vest may be layered as a quilt or created and stitched on a single layer of fabric for a lightweight vest. Use decorative, contrasting or variegated threads to create the look you desire. Full directions enclosed.